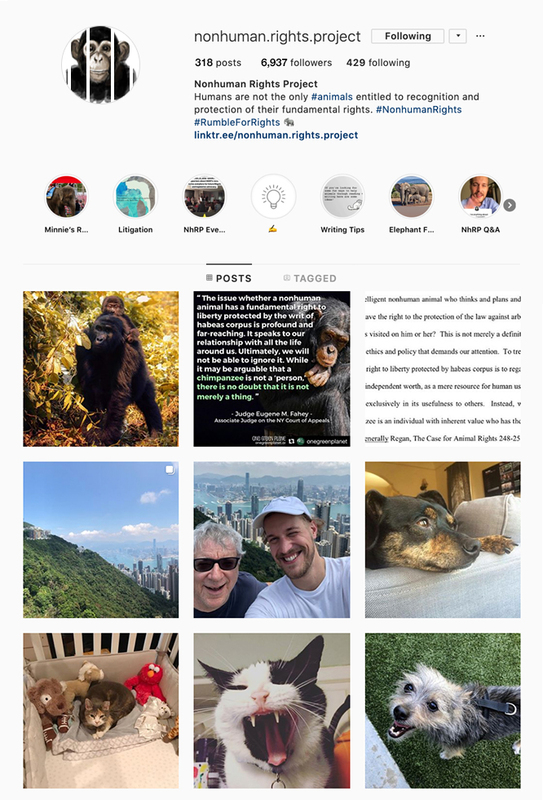 The Nonhuman Rights Project is a ground-breaking nonprofit organization working to secure fundamental rights for nonhuman animals through litigation, legislation, and education. They turned to Kindvertising to further their cause by strategically leveraging their social media channels. Increased overall post engagement, leading to the organization’s top 2 posts on Instagram in all of 2018 as well the most liked post of all time. Used strategic targeting to reach more engaged audiences, lowering the cost per result by 33% on Instagram and 75% on Twitter. Reached 10,000 Instagram followers, unlocking additional business tools. Developed a strong and defined brand voice/identity.